Camphill market is blossoming this spring with some wonderful new features and a makeover. We have added a wonderful petting zoo to our list of things to do here at Camphill, as well as guided horse rides. 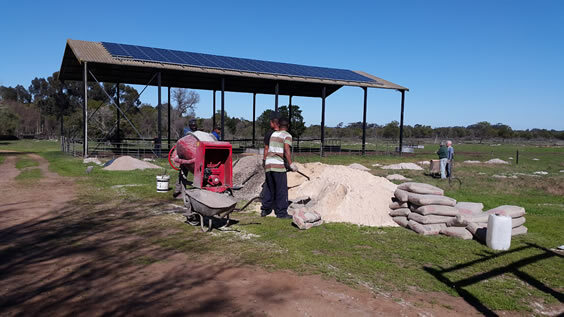 That combined with the tractor rides, a kids’ entertainment area and expansive grounds makes Camphill the ideal place to bring the family for a fun filled day amongst the fields of daisies and spring flowers. The market will be held at our Community Centre, with stalls inside and outside, and the Camphill shop will also be open with our dairy products on sale. As always our fresh food stalls will be cooking up a storm with some tasty special treats for you to try. 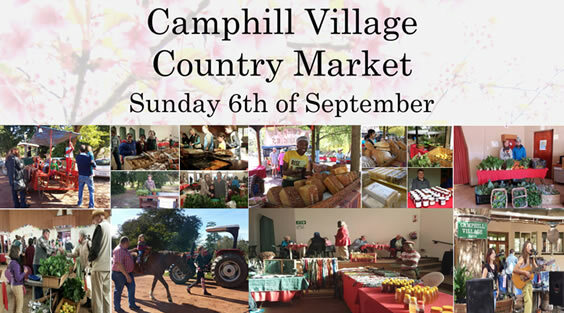 With a new season comes a new array of fresh and enticing products from the Camphill vendors. So come join us on Sunday the 6th of September for a truly wonderful experience. Every organisation should do a strategic planning exercise regularly. This allows it to stay current, relevant, scan its environment and adapt its course, services and products. 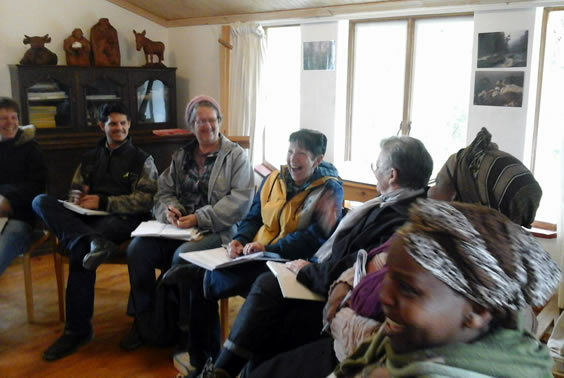 On Friday 7 August 2015, Camphill’s house and enterprise leaders and management got together to work on another phase of the strategic plan - the vision and mission. It was an all day affair, and included a wonderful light lunch and teas. 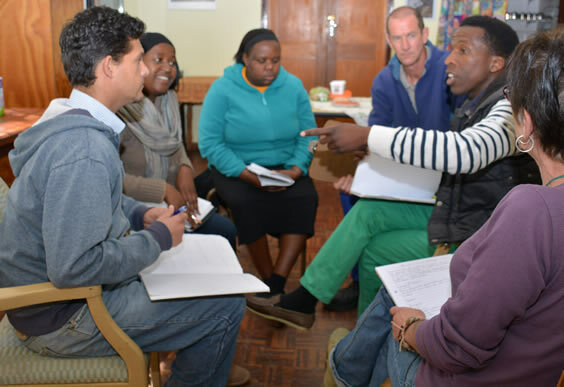 The facilitated process involved the twenty-six attending staff breaking into sub-groups and then plenary sessions were held to refine and find consensus on the wording. Strategic planning is a process, and it can take a while in an organisation as complex as Camphill. Thus a lot more work needs to be done to really refine the outcome, but here is the interim vision, as we determined it. 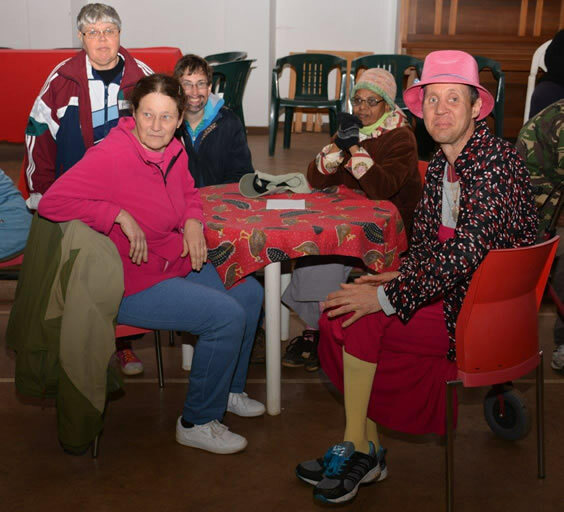 We are an organisation structured and living as a community, with a unique and inclusive approach for developing the full potential of all our people in the community, both those with and without disabilities. We are recognised as leaders in our field; knowledgeable, constantly learning, inspired, committed and professional. We live and work in harmony with each other, our environment and in association with the broader community. We are dedicated to growth, sustainability and prosperity, while retaining our non-profit nature. Through our daily work, each person finds a sense of place, purpose, meaning and vocation; and this is expressed in the quality of service and product. We also worked on our mission, but this document requires a lot more refinement. All in all, this process was an uplifting, joyful and community-building experience. We're very excited that the second stage of our solar project, Solar Rays is now underway! We are looking forward to an additional 40KW of Solar Power coming online soon. Camphill was donated a weekend stay at the glamorous world-renowned Commodore Hotel in the Victoria and Alfred Waterfront. It was decided to have a draw and give this very special prize to one of our House Mothers. These phenomenal Angels dedicate all of their time and love to our residents. This is no job where the office closes at five and for weekends. 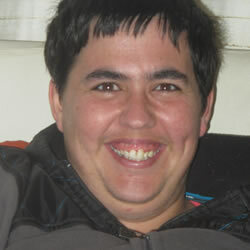 This is full time carer, feeder, teacher, preacher and most of all mother. They make the houses of Camphill homes. This is but a small token to say thank you and acknowledge how much you give. To all of our surprise the winner, Antoinette, decided to give her prize to fellow housemother, Angela, as she felt she needed it more. What love and support these lovely ladies share and this is what is shared and felt in each and every home in this wonderful place called Camphill Village West Coast. Keep it up, you are one in a million. In response to many requests, in April this year Camphill Cosmetics revived our tried and tested recipes for both headache and sinus oils. Many doctors advocate the use of herbal alternatives to headache and sinus medication as they have far fewer negative side effects than conventional medication. Blind, double blind and control studies have been done on the effectiveness of using the particular essential oils that we use in our blends, and they have proved successful in reducing pain, symptoms and discomfort of both headaches and sinus. The sales of our oils have exceeded our expectations and we have had really great feedback from our customers thus far. 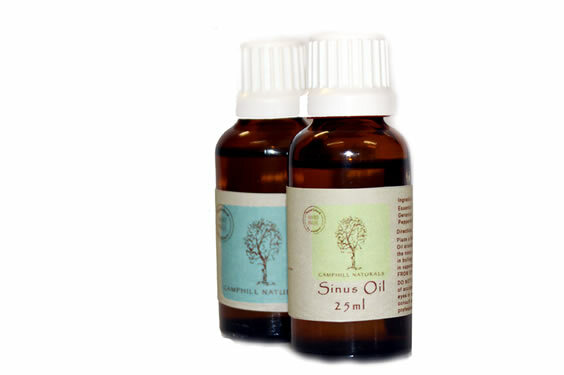 Sinus Oil - Our aromatic sinus oil helps to gently and effectively clear congestion, reduces inflammation and clears your sinuses, easing symptoms of blocked sinuses. Headache Oil - Our gently acting headache oil helps to relieve tension, cool affected areas, and ease pain and discomfort during a headache. It is a great alternative to conventional medication. Towards the end of the Young Co-Workers’ tenure in Camphill, we held a farewell party to say “Goodbye and thank you” to them. The theme of the party was “Cross-over”, where the boys dressed as girls and the girls as boys. Residents and Young Co-Workers alike, rushed around, raiding each other’s wardrobes. On the day, Birgit and her magic fairies set up and decorated the Hall. Thereafter, the magic fairies flitted home to dress for the big night. It was fun and games, making up the men and drawing moustaches and beards on the ladies. The Young Co-Workers sat at the V.I.P. Table, each place set with the required utensils plus a silver wand to make their dreams come true, and a gold dollar made of chocolate, which they are not allowed to eat until they make their first million! As people started arriving, there was oohing, aahing and laughter in vast quantities. Birgit looked like a villainous gold-prospector, Ninja like a member of Fagin’s band of pickpockets, Sylvie and Janine like a pair of toffs, and Craig was – I swear – Mother Hubbard with a beard. The highlight of the evening was our esteemed Social Worker who arrived in a yellow beanie, a woolly dressing gown, ankle socks and sheepskin slippers. A very astute house-leader remarked that he really resembled Flo’ Capp, Andy’s wife. Soon, everyone had eaten and drunk their fill of the delectable goodies provided by each house, and spent the rest of the evening dancing off the calories they had eaten. It was a really fun evening, filled with laughter and the occasional tear from a young volunteer. It was a “JOL” of note! Want a great wheat free snack with the natural sweetness of honey? 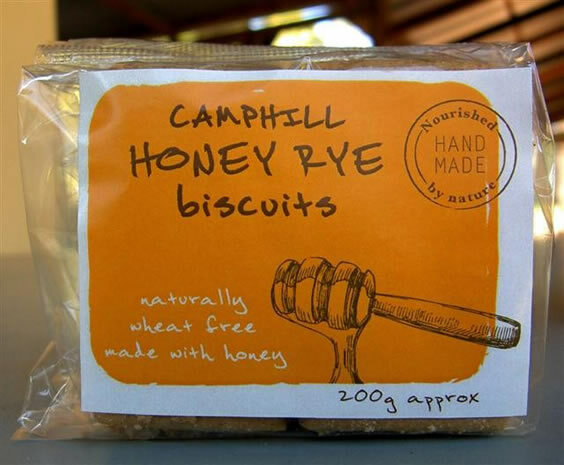 Try Camphill Village West Coast’s Honey Rye Biscuits. Great for a tea time snack and with added rice flour they are light and delicious. Made with Rye Flour 43.6% (Rye Gluten), Honey, Rice Flour, Butter, Free Range Eggs, Cream of Tartar, Bicarb of Soda, Salt, Cardamom. Allergens: Egg, Rye Gluten, Milk. Produced in a facility that uses wheat, tree and ground nuts. 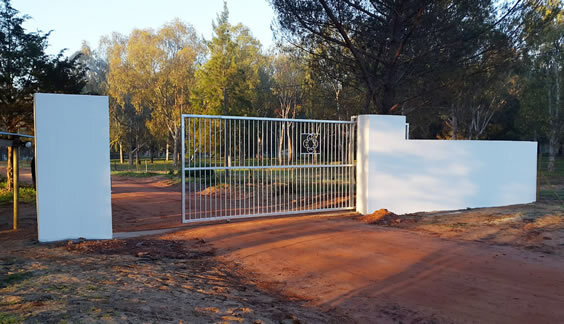 We are very proud of our new gate, which we have installed for security reasons. Thank you to all the donors that have made this possible. In the beginning I was milking two cows in a tin house outside Orchard. When we moved to the old chicken house across the road from Aquarius, we built the herd up to eight cows. 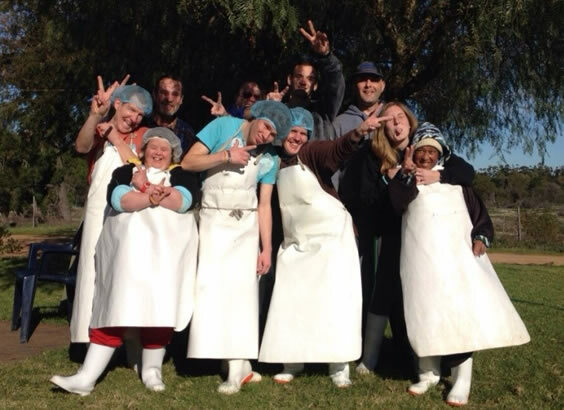 We milked all the cows by hand. At that time I was milking with Peter Bayne, Alexander Krafft, Gay van der Westhuisen and Bill who came to join us. 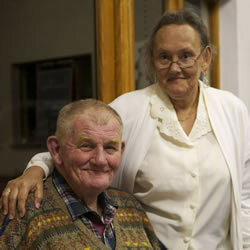 When the new Dairy was completed Peter Brown joined us as well. One of the cows was named “Princess Ann” and for the first time in Camphill Alpha she produced twins three times. Every time she came through the gate she would take the whole wall with her (she was so big). Gay was a very lovely person when it came to animals. One day Gay stood in the narrow passage where the cows had to come through to get to their food and she didn’t want to move, so when Princess Ann came in she rolled her along the wall (there was no space between her stomach and the wall) until Gay landed up in a bucket of water. Gay would get up and have a good laugh at herself. Sometimes Gay would come for milking and find herself all alone so she would lie down next to the cows, rest her head on the cow’s stomach and fall asleep. The cows were always at peace with her. In closing I want to remind you of one thing: you as a person can always find peace within you and one good way of doing it is to milk a cow. The other place here in the village would be to sit in the chapel. I have been here for 11 months now, so I only have a couple of weeks left in Camphill. It has been such a good time with some ups and downs of course but I still wouldn’t want to miss those memories. My first couple of months was packed with amazing things like the Music Festival and seeing Freshly Ground, and the Barn dance and meeting so many interesting people. But there was also the tragic death of a fellow young co-worker, which brought the rest of us closer together and made us a really close group. It was a lot of fun to meet new people who came and went again. We started off as a group of 8 YCW and rose to being 16 people at one point and now there are only 4 of us left. Living in Acacia House was the best experience in my life so far, to be honest. I just loved to sit at the lunch or supper table for an hour or longer and talk about everyone’s day and make jokes and just have a fun time. The house was just always so alive and it felt like a home with a big family. I am really going to miss that. You guys made my year such a special time for me and I will never forget you. And also working in the dairy was a blast. The team I had there was the best and we always had a fun time even though we had our arguments sometimes. But like a family we got over that and always went back to laughing together. I learned so much here and I will definitely come back and visit all of you! My first week and two weeks were awesome here in Aquarius. I met a lot of people. My favourite ‘Moms’ are Veronica and Hendrina, my favourite ‘Daddy’ is Matansima and my favourite ‘sister’ Sibulele. My best, friendly dog is Singelton and my best friends are Viwe, Bart, Willfrid, Jenny S & J, Sandra and Ushi (Rosheen). My house mom can make lovely ‘stuiwe pap’ and she makes me tea in the morning and at night. My ‘chocolate mom’ can bake delicious cake and pudding. I love my new family. My mom and sister wake me up every morning. 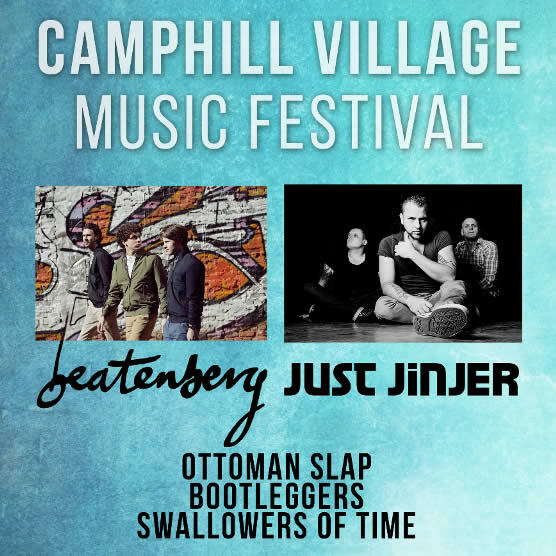 Camphill is a very interesting place and it is fun. My workshops were the garden, cosmetics, dairy and crafts. My most interesting one was the arts & crafts. Me and my sister are best friends, we like talking with each other to keep each other company, every day and every night. I love everybody in Aquarius. Thank you guys for having me here. God bless you all. 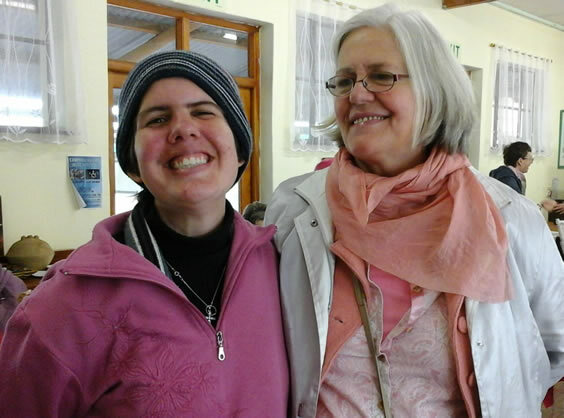 Here at Camphill Village West Coast people with intellectual disability live a full, creative and fulfilled life and have the opportunity to develop their abilities and contribute to their community. Let’s take a glimpse into everyday life here with this lovely slideshow. What we take for granted, is for many a gift. With your help we can help more people with Intellectual Disability have the “GIFT OF A NORMAL LIFE” and in Passenger’s words: “if we all light up we can scare away the dark”. Saturday 12th of September - Our AGM. 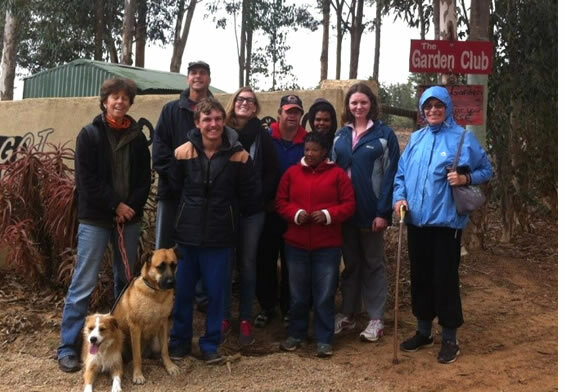 Please join us at our AGM on Saturday the 12th of September at 10:00 at our Bay Leaf Coffee Shop.